Bare welding wires and rods are used in short lengths of about 1 meter or in coiled form in spools. 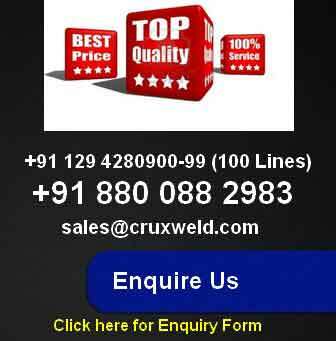 Whereas short lengths are used for processes like tig welding machine and plasma arc welding machine wherein they are not part of the welding circuit, long wires are employed for processes like mig welding machine and saw welding machine where a part of the wire conducts current. When a welding wire forms a part of the electrical circuit is called a welding electrode otherwise it is referred to as a welding rod. Most wires used for welding structural steel usually contain 0.10% carbon and 0.35 to 0.60% manganese content. Some other types have increased amounts of carbon, manganese and silicon. Excess silicon in welding wire results in heavy spatter, gassing in the weld pool, and non-metallic materials in the weld metal. Maximum silicon content permitted, therefore, is upto 0.95%. The contents of harmful impurities like sulphur and phosphorous should not exceed 0.04% each. In some wires, particularly those used for welding alloy steels the maximum amount of sulphur and phosphorous allowed is each 0.03% each. The range of wire diameter extends from 0.5 to 2.5 mm with 0.5, 0.6, 0.8, 0.9, 1.0, 1.2, 1.6, 2.0, 2.4 and 2.5 mm diameter wires being normally available. 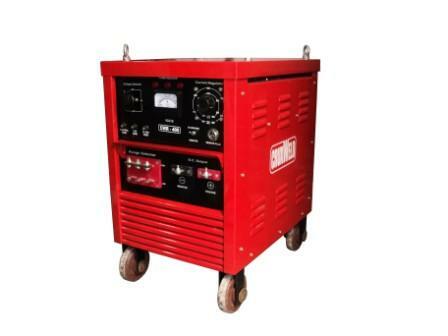 Welding machines use continuous wires in coils. Depending on the wire diameter, a coil may weigh anywhere between 5 to 500 Kg and measure 150 to 1000 mm across. The welding wires are usually copper coated to prevent rusting and to improve current pickup from the contact tube, it also helps during drawing of wires through dies. To avoid harmful effects and peeling of copper coating it is usually kept very thin and the maximum amount of copper is specified at 0.4% by weight of the wire. Apart from low carbon steels, welding wires are also produced from stainless steels, aluminum and its alloys, nickel alloys, magnesium alloys, titanium alloys, and copper alloys. The welding wires are available both in solid and tubular forms, the latter contains flux in it. Several systems are in use to specify welding electrodes and rods. AWS specification is one of the well known systems of codification. It consists of a prefix letter or letter S and then a suffix which may be figure or a letter or both. Bare welding wires and rods are used in short lengths of about 1 meter or in coiled form in spools. 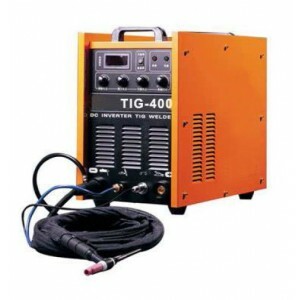 Whereas short lengths are used for processes like tig welding machine and plasma arc welding machine wherein they are not part of the welding circuit, long wires are employed for processes like mig welding machine and saw welding machine where a part of the wire conducts current.